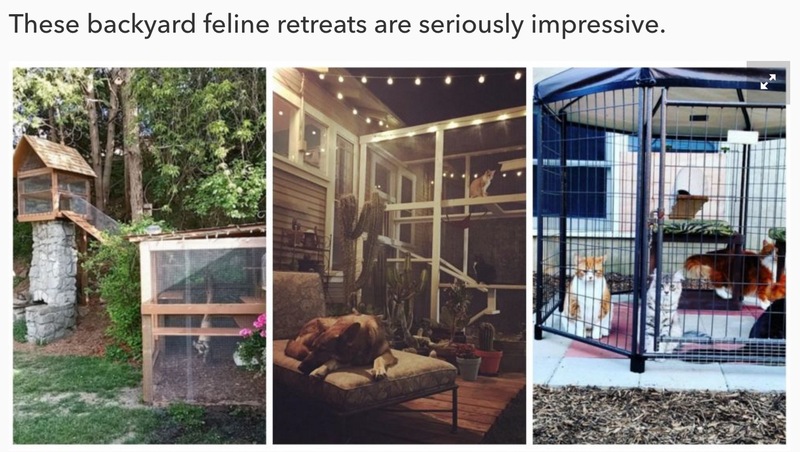 Last year CountryLiving published an excellent piece on catios titled, “14 Amazing Catios You Have to See to Believe,” that rightly concludes that “backyard catios are a thing.” The article goes on to show examples of more than a dozen cool catio structures worth checking out for their variety alone. That said, with a couple possible exceptions, most of these enclosures are eyesores on their respective homes. And while any catio is better than no catio, why not build one that blends in or matches your house? That’s where Custom Catios comes into play. Contact us if you are interested in a catio that compliments your home.